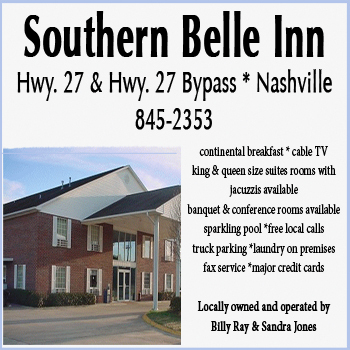 After a lengthy battle with cancer Barney “Bee” Smith, age 69, of Nashville, Ark., emerged victorious on July 20, 2018 while in hospice care in Hot Springs Village. Born on Dec. 4, 1948 in Nashville, Ark., Bee was preceded in death by his parents, Barney B and Dortha Mae Smith. Prior to his illness, Bee worked in the maintenance department at Nashville City Park and Recreation for over 15 years. Not to be impeded by his deafness, he never backed down from hard work, his enjoyment of sports, and his keeping up with current news. Bee attended Central Institute for the Deaf in St. Louis, Mo., and graduated from the Arkansas School for the Deaf. His most recent joy was participating in two mission trips to Haiti with his brother. Bee is survived by his brother, Walter (Bubba) Smith and wife Diane of Hot Springs Village; sister, Julia Dunlap and husband Mike of Jonesboro, Ark., daughter, Carrie Heseman and husband Travis of Monett, Mo., two nephews, Will Smith and Will Dunlap and two nieces, Meredith Caver and Kathleen Griffin; three grandchildren and three great-grandchildren. The family would like to thank Dr. Robert Muldoon and staff at the Genesis Cancer Center and the Hot Springs Arkansas Hospice staff for their compassionate care. Visitation will be Saturday, July 28, at 10:00 at First United Methodist Church, Nashville, with a memorial service at 11:00. To honor Bee’s life memorials may be made to Promise for Haiti, P.O. Box 50495, Nashville, TN 37205. Memories and condolences may be sent to his family at: drbubbaque@hotmail.com. 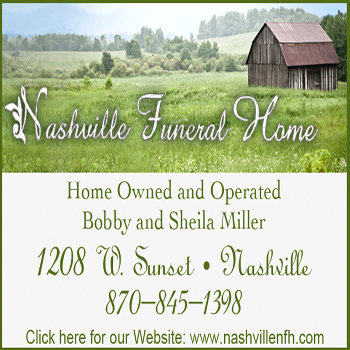 Cremation Arrangements Entrusted to Arkansas Cremation. www.ArkansasCremation.com.